Ducking into our houses to escape the ghosts made with our breaths, we grab our flannel pijamas, fleece blankets, and cozy-up on the couch to keep warm for the evening. Unfortunately for many in Vancouver, this just cannot and does not happen. Hundreds are on the streets and in shelters, without the luxury of a Snuggie or even a pair of wool socks. Needed items: New hoodies, coats, running shoes (for men and women, assorted sizes). Needed: Socks, toques, travel mugs, underwear and tea bags will be donated to MPA Society. Neeeded: Warm jackets, toques, vests, warm shirts, pants shoes, socks, and underwear. Needed: Warm clothing, socks, underwear, outer wear. Needed: Blankets, underwear, socks, jackets, gloves/mittens, scarves, and hats. Needed: Warm clothing donations that will be dropped off at The Gathering Place. Needed: Warm clothing items, new and gently-worn. Two years ago a group of people took it upon themselves to make a difference. They connected through Twitter and came together for a Tweetup Heatup, collecting coats and warm clothing donations to hand out in the Downtown Eastside. This sparked Tweetup Heatups in several other cities across North America including Pittsburgh. One small gesture, one afternoon, can make a difference. 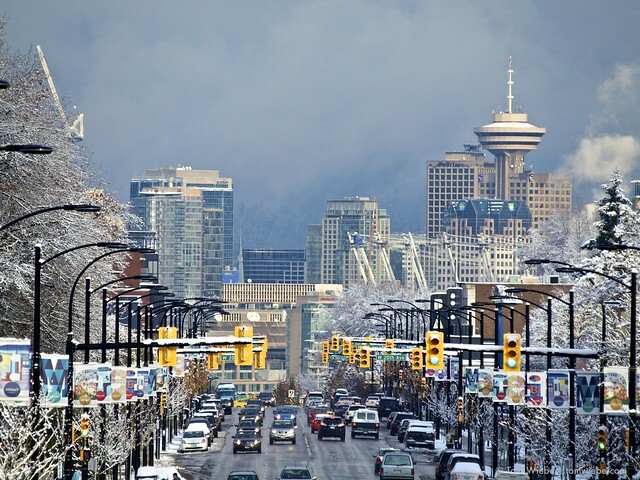 Let’s make sure all Vancouverites can get through this cold snap. @sue Great suggestion. I actually fired them an email this morning to see where/how people can drop off clothing. Great posting, Rebecca – you are really wonderful to alert people to the tremendous need this time of year. Great info. Thank-you. Are you aware of any drop off locations in Surrey and or Langley areas? Hi Rebecca! At The Salvation Army Harbour Light, we would be thrilled to receive blankets, underwear, socks, jackets, gloves/mittens, scarves, and hats for our clients. We’re also handing out those instant-heat hand warmers when we have them. Donations accepted at our front desk at 119 East Cordova. Thank you for spreading the word about these needs! Yes, all these darn coats need to go somewhere, now we know where. Those of us that have been blessed, or is it cursed, with so much stuff are now seeing the light. Christmas is here and it is the best time of the year to open up your heart to those who struggle to keep their heat warm everyday. I think I heard about a donation centre that had just moved a few blocks over on East Broadway somewhere as well…I might be getting it confused with a shelter though. this is sooo great and useful!!! Exaclty what I need to organize a clothing drive with my church! Thank you so much!!! This annual event operates in Greater Vancouver, Fraser Valley, and Chilliwack and District, from Whistler to Hope. A list of all drop-off locations, what donations are most needed (not just blankets but warm clothing, too), and what charities receive the donations can be found at http://www.blanketdrive.ca. Thanks miss604! I do the blanket drive organized by the Realestate Board every year.I know first hand how much these organizations appreciate our help. I live in the south delta area & have some men’s coats to donate. Where might be the nearest place? Do you know if anyone is taking kid’s jackets? I have a couple hand-me-downs and my son just needs one! Thanks so much for promoting the needs of Vancouver’s most marginalised! This winter hasn’t been as cold as last year (so far), but agencies still need warm clothing etc. We at First United appreciate the shout-out, and thanks for all the good work you do for Vancouver. Does in other city do you have more location to be drop by?Great job! I have my bag full of blankets, toques, gloves and some pillows to drop off at the Canada Line this weekend.. Looking to donate some hoodies, jackets, toques, shoes, etc but I don’t want them to be resold! Where in Vancouver can I do this?